So many people I know in the beauty/fashion world here in New York LOVE Ling Spa, so when they reached out about testing their Ginseng Collagen Infusion Mask ($18/mask) and Spotlight Papaya Resurface Peel ($65) my curiosity was peeked. I test so much skincare that I don’t go for facials on the regular. More like 2-3x/year. But people I do know who religiously tend to their skin trust and allow Ling to tend to it for them. So I was somewhat biased in thinking these at-home skincare products had to be worth the buzz but also realistic in realizing they were not the same as having Ling herself in your home. I first tried the anti-aging, rejuvenating Ginseng paper mask after a week in sunny Florida where I may or may not have gotten a little too much sun (don’t judge – this winter has been brutal!!). It was instantly calming, most likely due to the aromatherapy benefits of the ginseng and also being forced to lie down and do nothing but chill for ten minutes. After that time, I removed the masked and tissued off the excess product. They advise you rinse with lukewarm water but I wanted to retain as much of the moisture as possible. The mask contains collagen and hyaluronic acid as its key ingredients and my skin felt instantly smoother and much more hydrated (the hyaluranic acid working). As for firming (the benefit of collagen), I might have to use the mask more regularly to notice a difference. Or perhaps my skin was already tight from the sun exposure, even with my continual and vigilant reapplication of SPF. 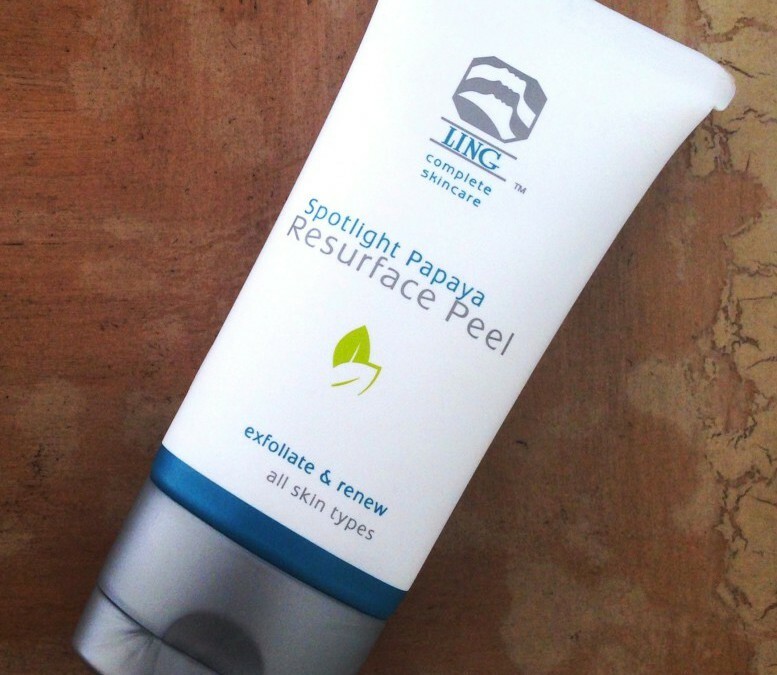 I tested the Spotlight Papaya Resurface Peel two weeks after returning from the trip. 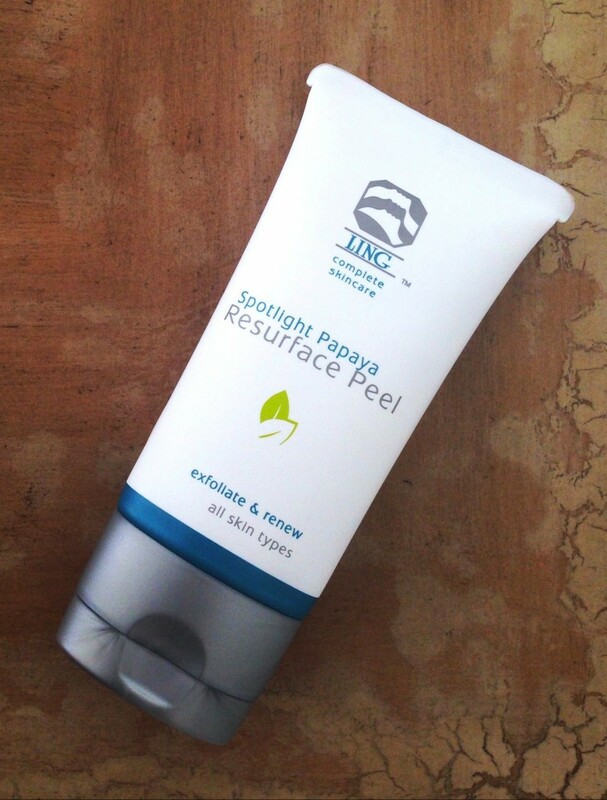 When I first applied the peel to my skin (gently cleansed prior), I loved its gritty texture. I followed the instructions and massaged it all over my face with wet fingertips. I then had to decide how long to keep it on before rising with warm water. 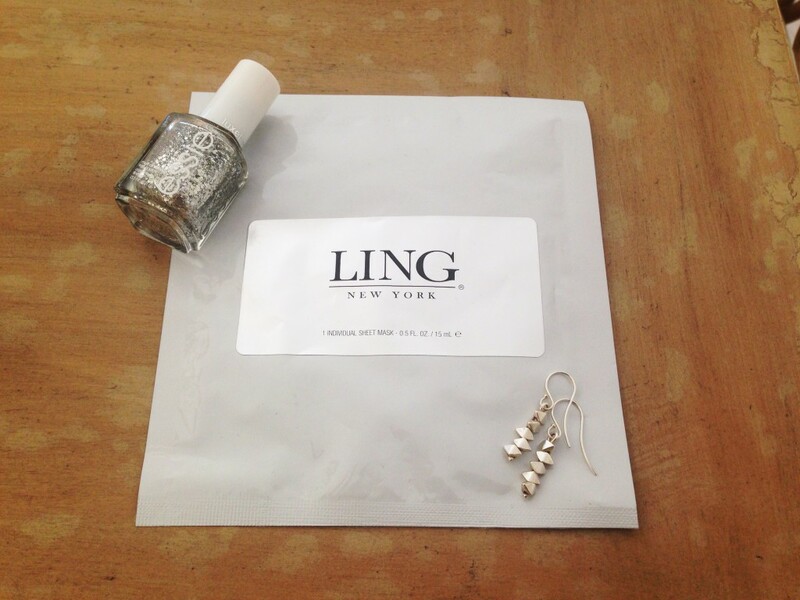 For sensitive skin, Ling advises 3 minutes. Normal to oily, up to 10. I went with 8 since I don’t have sensitive skin but it was my first time using the product. After removing the peel, I felt baby soft skin and saw clear pores. In fact, we were planning on doing Bioré strips too but I was able to skip that portion of Sunday Spaday. My face looked healthy and radiant. Quick note: You can use the peel two to three times a week – but beware – if you also use other products that exfoliate — like a facial scrub or a Clarisonic or anything with alpha hydroxy or glycolic acic — I would swap in and out for a total of three times a week at first, unless you really know your skin and are sure you can handle the mix. Overexfoliation is never a good thing and can result in skin reactions. Trust me, I test beauty products for a living and it’s never fun or pretty when you piss off your skin. So consider all of the products you use and take caution. After perusing LingSkincare.com, I saw tons of targeted skincare solutions for various skin needs. Click HERE to see for yourself. As for me, I think I’ll probably stick with the way more affordable Nature Republic sheet masks from Korea but I’d definitely shell out $65 to restock that Papaya peel. Note: This post is not sponsored. All thoughts are unbiased and my own. Samples were provided for review.